Christmas is left behind and we are so unwilling to lose the festive spirit and joy of this beautiful holiday. 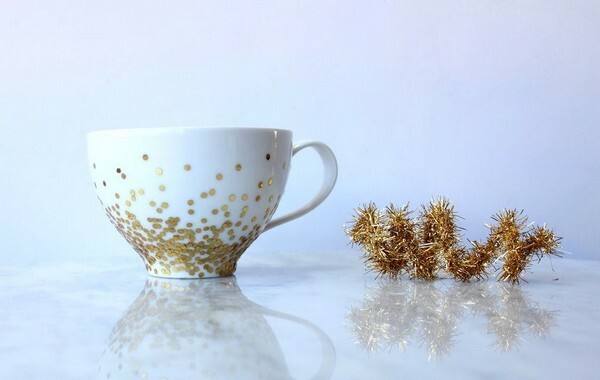 Some golden confetti on your favorite tea or coffee cup will definitely cheer you up, bringing back magical memories and evoking dreams of the future. And if you invite kids to join you, they’d be very pleased! Creating such a lovely thing is pretty simple. For a start rub alcohol over the surface of the cup. 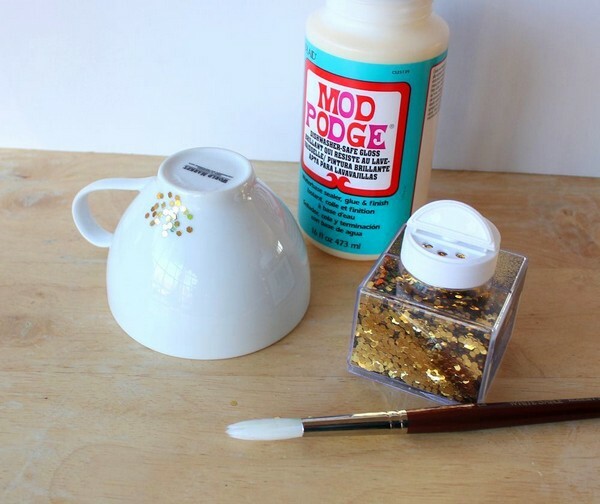 Then coat the cup with a thin layer of decoupage glue and use the same brush for applying confetti. 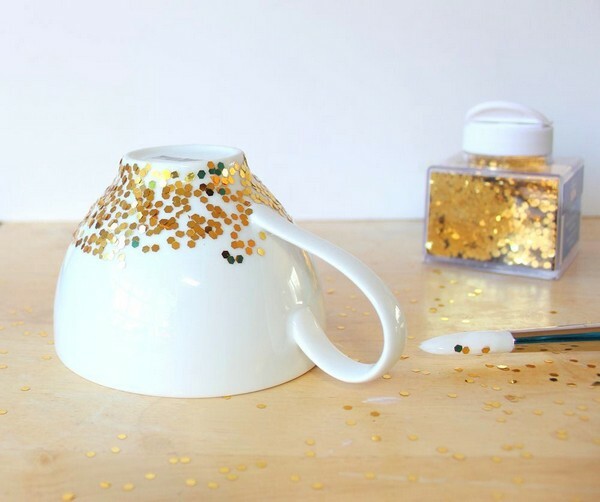 Here it’s a matter of your imagination – you may other get your mug totally golden or create a pattern of your own. 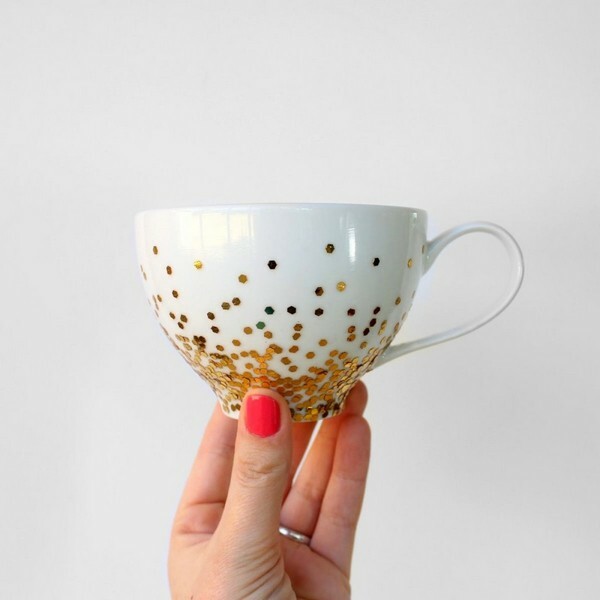 On the image the confetti are concentrated at the bottom of the cup and gradually spreading to the top to reach the “dipped” effect. 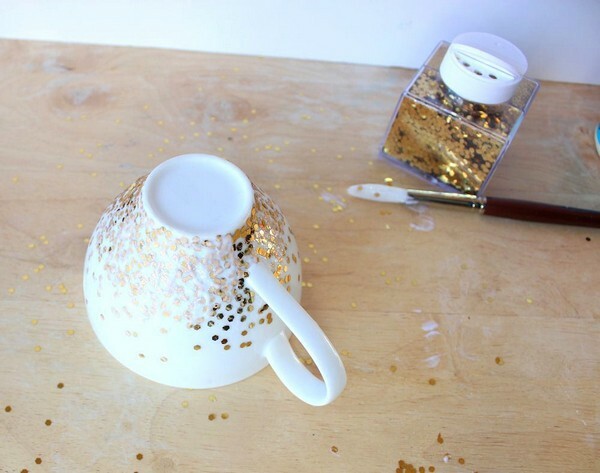 As soon as you’re finished with confetti, let the glue dry off. Then coat the cup with one more layer of glue, and after repeat it twice. Your super cup is ready! 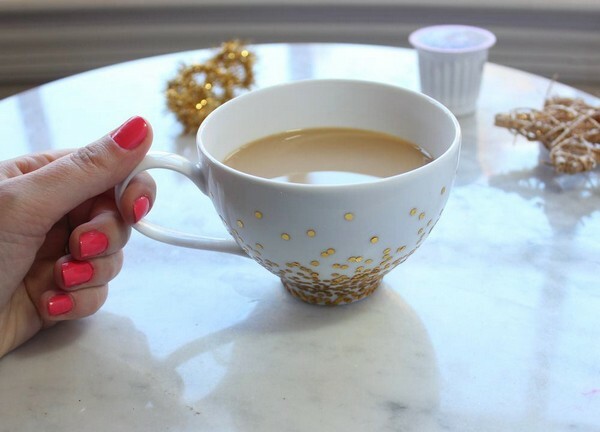 Next day you can already use it for drinking your favorite morning coffee or white tea. And in a month it can be even cleaned in a dishwasher. Enjoy!